Minoxidil Reviews & Results - How Does it Compare For Hair Loss? 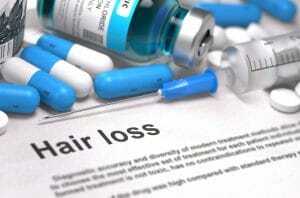 Many ‘cures’ for hair loss just simply do not work as advertised, but, there are a few exceptions. Fortunately, a tailored Minoxidil treatment program combined with our Advanced Laser Therapy can work, and is worth considering, no matter what the stage of hair loss. Advanced Hair Studio writes you a tailored Minoxidil script and pairs it with several of our industry leading treatments in order to maximise hair regrowth, as it fills a niche that not many other pharmaceuticals do – natural, healthy hair regrowth. Read on to learn more about how it works. Minoxidil’s number one job is to increase the amount of blood flow going to the skin and hair follicles. It is theorised that Minoxidil opens up the capillaries around the skin, which allows bodily resources to get to where they need to be. The results? Skin and follicle damage repaired, and hair loss halted. Most users will note that it does take some time to really see results – often over the space of one to four months – so the sooner Minoxidil is added to your haircare routine, the more of your hair you will be able to save. Minoxidil and our Serenoa and Hair Fitness range have all given our patients great hair loss results. However, they work best as part of a holistic hair loss treatment. If you are looking for a permanent solution that will address all the overlapping elements that contribute to hair loss, you may need more than hair loss pills. Completely regenerating hair naturally requires the diagnosis of an expert and some advanced interventions that you simply cannot get from a pill or a cream. Minoxidil is available through Advanced Hair Studio. We use it for a range of treatments, but after a complimentary hair check, where we can determine whether it is right for you, you could be on your own hair loss treatment routine in no time. We use Minoxidil as part of our Advanced Laser Therapy Treatment Program. This combination of treatments is all about getting the best of both worlds – the individual regenerative powers of low-level lasers and Minoxidil can see some really great results, but combining them can spur unprecedented growth. Get in contact now to learn more.